After CRETA, now MooVita is working on their own self-driving car in collaboration with UTM. For now it has achieved Level 5 autonomy: fully-automated and able to read its surroundings. That being said, it might be a while before it hits Malaysian roads. The self-driving car race is on for tech players across the globe. There have been hiccups, but everyone has their eye on the patent finish line. The same is true for Malaysia. Some of us have heard of CRETA, an attachment that would turn any car into a self-driving one—currently being developed by REKA. Now Universiti Teknologi Malaysia (UTM) and Moovita, a Singapore-based company are working together to develop one specifically for Malaysian roads. It was spotted during a test-drive at MaGIC’s Cyberjaya courtyard. A Proton Exora was given a makeover with sensors, cameras and radars. This helped the car achieve Level 5 autonomy: fully-automated and able to read its surroundings. According to a UTM representative, it was built under an AV technology acceleration programme, which hopefully helps the team speed up the development process. AVs are self-driving vehicles where aspects that impact safety—steering, throttle control or braking—happen without direct input from the driver. 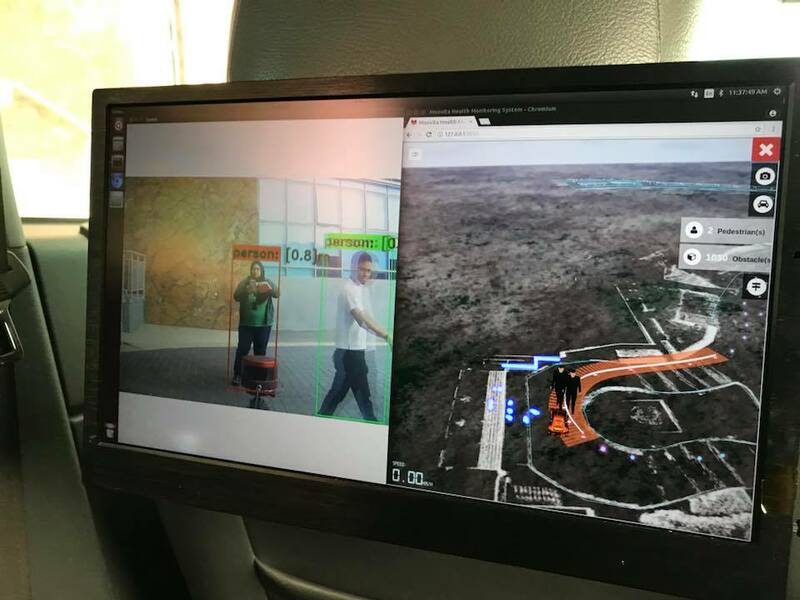 Instead, AVs absorb information through sensors, cameras, GPS and telecommunications and feeds it into a complex algorithm. This helps a vehicle react in safety-critical situations. For now, it is unclear whether this technology will come as an attachment ala CRETA, or sold as brand-new cars. While the test results seem promising so far, it could be some time before the technology sees any practical use outside of the controlled MaGIC compound into the Cyberjaya roads. As it so happens, this experiment is done just next door to the Futurise Centre. The Futurise Centre is meant to be a spot for corporates and universities to innovate technology together. Seeing that the current team up between Moovita and UTM is just that, is this one result of that initiative? 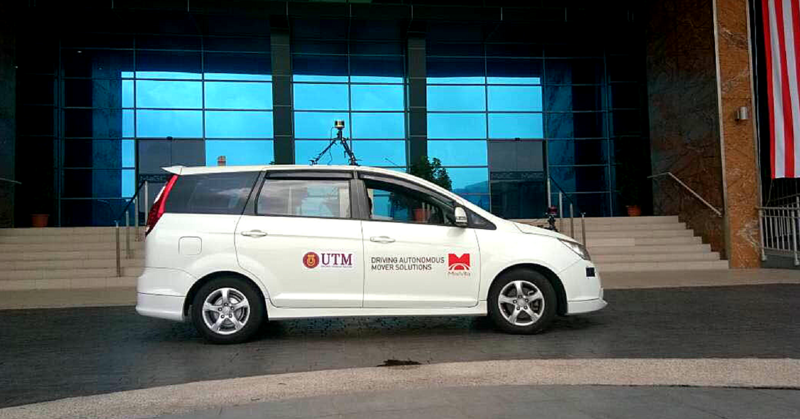 What does it take to build a self-driving car fit for Malaysian roads? The same is true for any self-driving car looking to enter our streets. Not only do they have to learn how to navigate roads, they also have to figure out our cute little driving quirks: double and triple parking, cutting through the wrong way, turning 3-lanes into 6-lanes, beating a red light etc. This doesn’t even account for reckless and dangerous drivers. The speed demons, those sleepy on the road, and all hazardous inattention you can think of. Then there are obstacles in personality: anyone will tell you navigating the heart of KL requires a fair amount of daredevil-ing. Seems like one of the biggest obstacles for self-driving cars everywhere is just that: bad human drivers on the road. Or how about just general communication on the road? As the article linked above pointed out, even merging between lanes requires some communication. Usually, many of us only enter a different lane once the car behind us slows down to give way. Could a self-driving car pick up on this nuance? Then, there is the issue of pedestrians. A human behind the car is able to notice a pedestrian attempting to pass, and choose to slow down to grant them way. Could a self-driving car do the same? As far as demonstrations go, it does seem like UTM and Moovita is on a promising path, especially regarding AV acceleration. How cool would it be if Malaysians are the first to crack self-driving cars? At least enough that our lawmakers actually allow them on the roads? This would mark a big notch in our #MalaysiaBoleh belt, as well as proving that Malaysia and Singapore can work together to create wonders.